Welcome to my Online Portfolio! 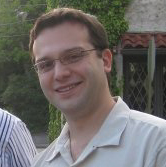 I am Michael C. Maggio, a software engineer with ten years of working experience in the IT field. My skills and experience range from software design and development, through web & internet technologies, to UNIX system administration. I am presently employed as a senior software engineer with NCS Technologies in central New Jersey. As a consultant, I have had my share of more than a few projects during my stay at NCS. My current assignment is project lead for a complete redesign/rewrite of Vonage's online account management site. My previous assignment was project lead for an enterprise ordering and provisioning workflow for a AT&T. The workflow and EAI engine was constructed using Vitria BusinessWare.